With the newly refreshed mobile-optimized campaign sites, you can expect to see a few small updates to the look and functionality of your campaign site on Wednesday, June 15th. These changes will provide a better experience for donors on all devices including tablets and mobile devices while also giving your campaign a fresh look! No action is required on your end to get started on the new template. Any current or future campaigns will have the new template applied to them. With the new design, you'll enjoy a centered logo at the top of your campaign. 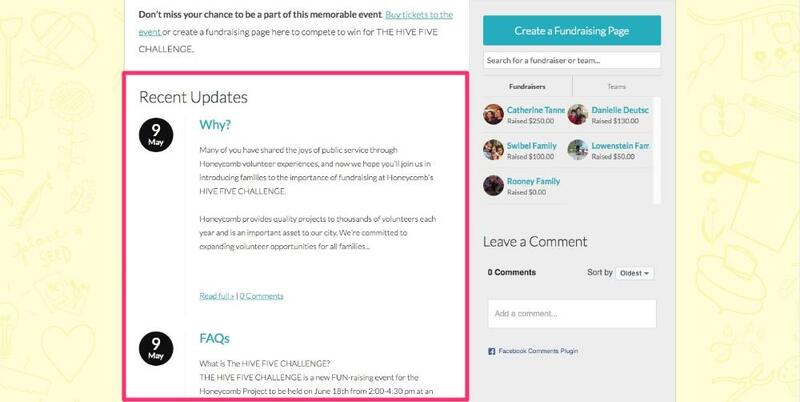 In addition, a full colored section highlights key info on your campaign by differentiating your media section and fundraising metrics from the rest of your campaign. 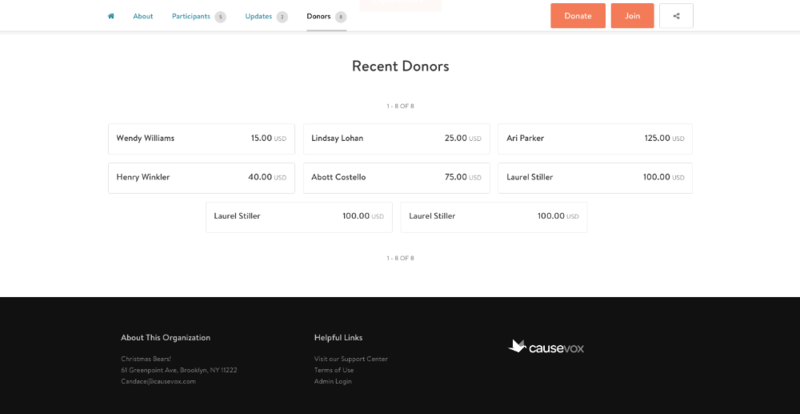 With the new about section and sidebar, donors will be able to easily access your donation button while they scroll down your page to read through your content through our new persistent header and donate button. On mobile, the sidebar becomes stacked under the About section. 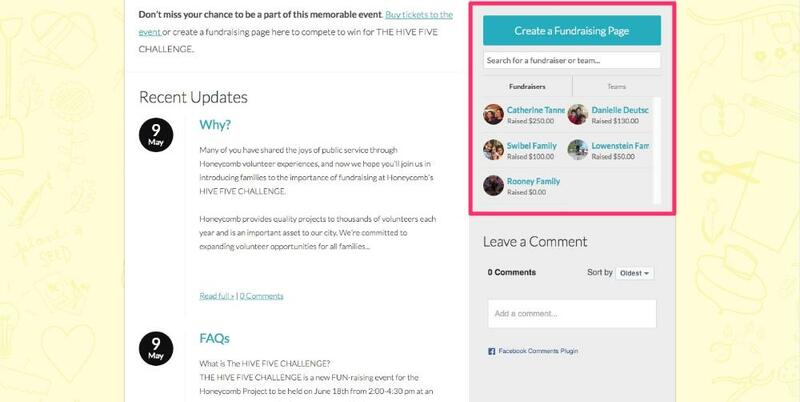 With the new fundraiser and team fundraising page view, you'll be able to see a select portion (ranked by amount raised) of personal fundraising pages and teams (under the Teams tab), with an aptly placed "Create a Fundraising Page" button and the option to browse all fundraising pages. With the new recent stories section, blog posts written the CauseVox Admin will be featured with an image background pulled from an image in the post. Blog posts help you use storytelling to drive more traffic and donations to your campaign site. 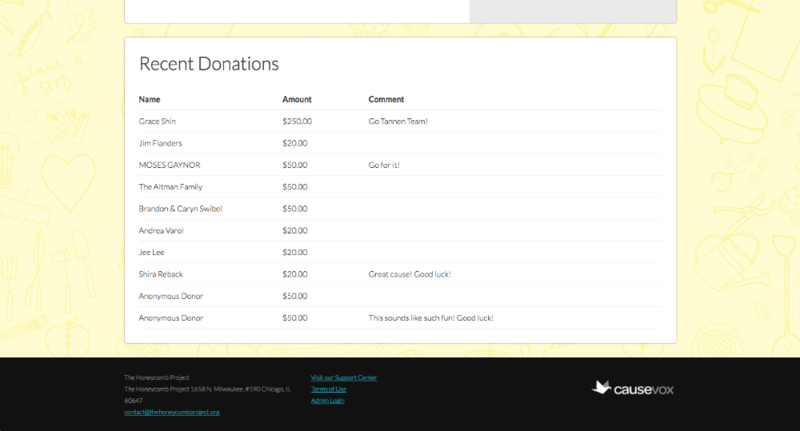 With our new recent donors section, viewing donors names, comments, and amount donated are easier to view on any device. How will this affect my page’s design? 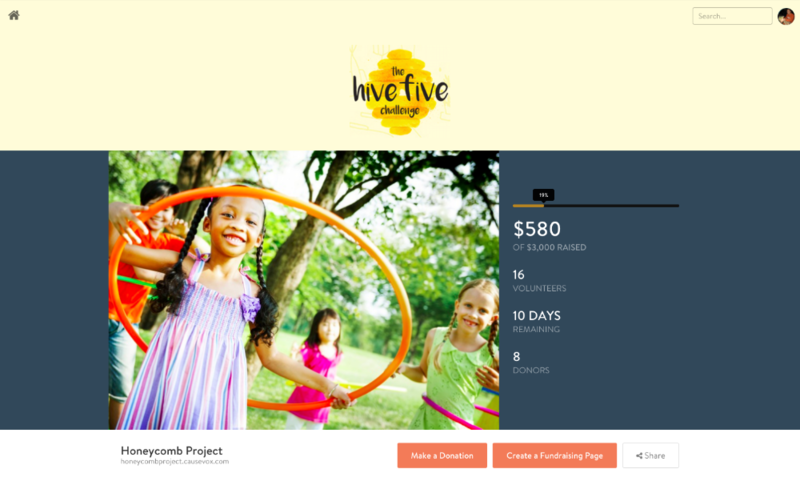 Your design customizations (colors, text, images, etc) will automatically carry over to the new campaign site template. What will I have to update? Although everything will be carried over, we recommend that you check your campaign site in case you’d like to make content updates to take advantage of the refreshed design. Is the structure of the page changing? Yes, slightly. 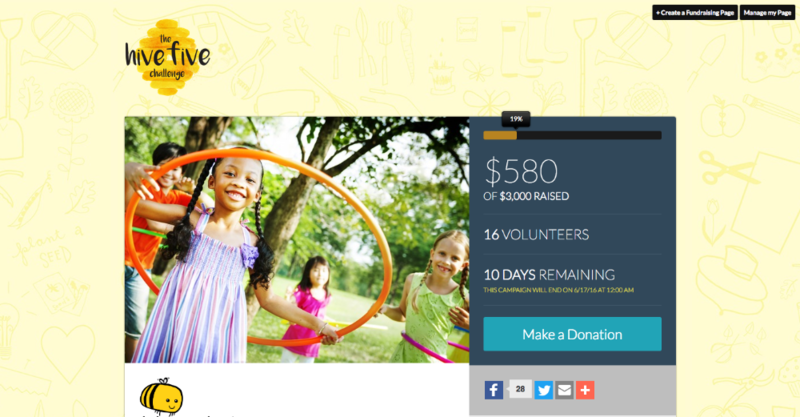 Our current campaign site template is in a two-column format (fundraising appeal + sidebar). In order to create an optimized experience on mobile, we’ve switched to a single column format where the page structure is stacked for an easy mobile experience. Will this affect campaigns I've already launched? Yes! 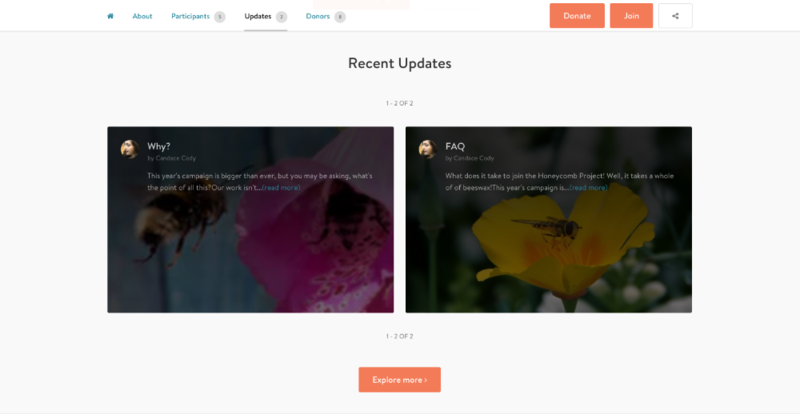 This update will improve your supporters’ experience and ensure they are able to share and donate to your campaign seamlessly on any device (mobile phones, tablets, and desktops). What do I need to do to make my crowdfunding and peer-to-peer pages mobile optimized? No action is required on your end. The update will be applied to all your current and future campaigns you run on CauseVox’s platform. This will roll out across all active and future campaign sites on Wednesday, June 15th. What plans does this update apply toward? Mobile optimized campaign pages is included in all of our plans, with no additional fee. How does this affect the site setup in my Site Editor in the future? The Site Editor will be changing over to the new template as well. The representation of your site in your Site Editor will match how the new campaign sites look online, so you can be sure you’ll be designing your sites effectively!